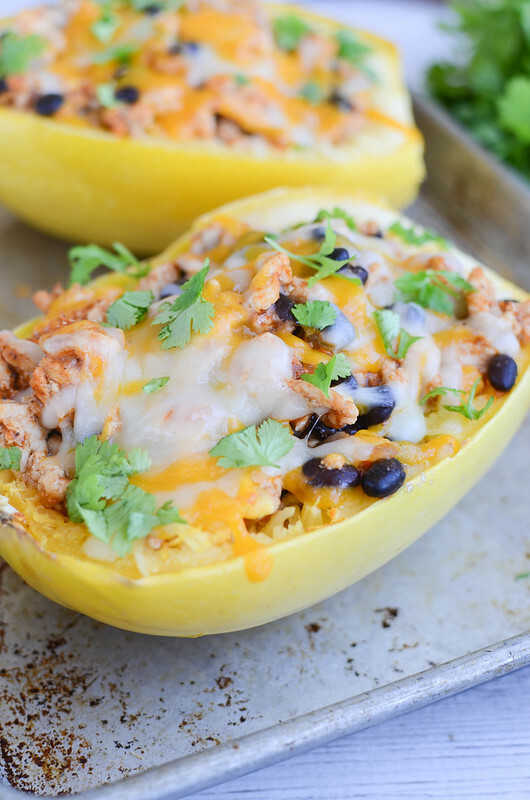 Enchilada Stuffed Spaghetti Squash – all the flavors of enchiladas in a spaghetti squash! 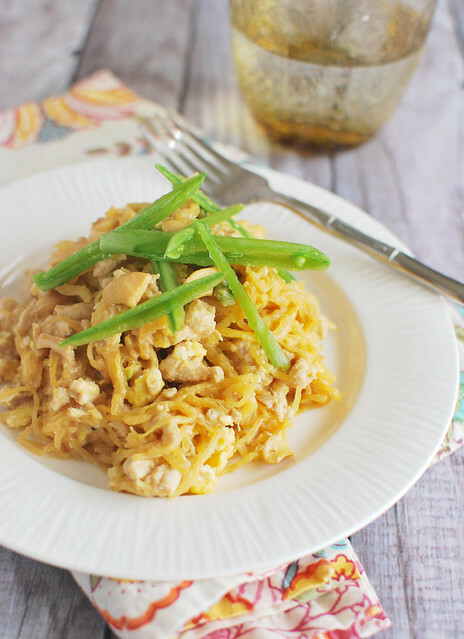 Healthy, low carb, and so delicious! 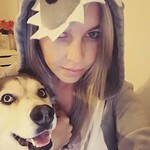 Hey guys, happy almost Friday! I hope your week has been fab! My kids have a half day at school today. Isn’t it weird to have a half day on a Thursday? I will never understand it. Like, the beauty of a half day is that it’s supposed to kick off the weekend. Right? But nope, they have to get up on Friday and go to school. Anyway, good news: I’m back into squash. I feel like I forgot about it during the holidays but I’m officially back to buying my weight in every variety of squash my grocery store has. 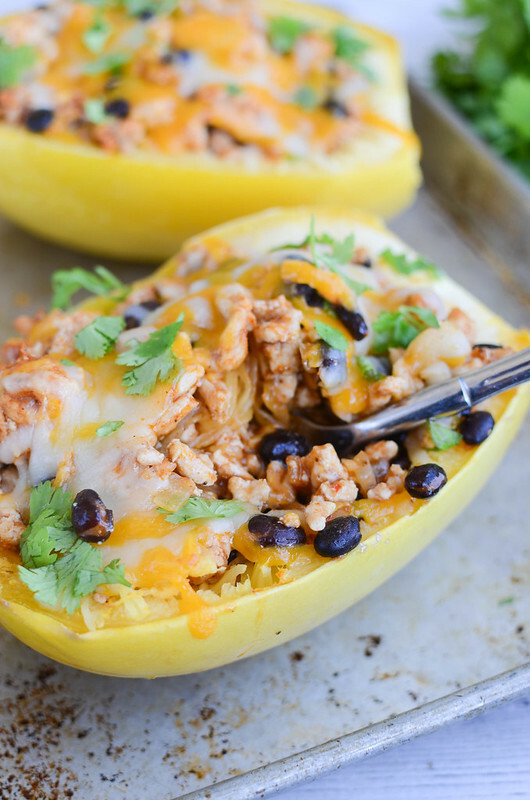 And I’m currently obsessed with spaghetti squash. For this recipe I wanted to stuff a spaghetti squash with all my favorite things about enchiladas because ugh, all I think about are enchiladas and I need to not be eating enchiladas every night. So I took my favorite Jennie-O Extra Lean Ground Turkey Breast and cooked it up with some onions and garlic and then tossed it with some red enchilada sauce and black beans. I spooned that mixture into a couple cooked spaghetti squash halves and then topped it with a tiny bit of cheddar and monterey jack cheeses. So good. Especially with a ton of cilantro and salsa on top. 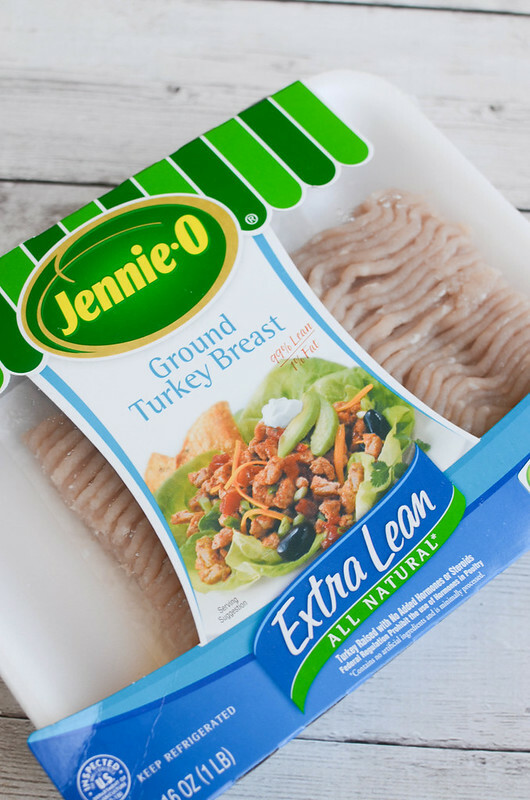 If you are like me and cooking for easy and still delicious ways to cook back on the calories, this Jennie-O Extra Lean Turkey Breast is the way to go. I know I’ve expressed my love of it to you guys before but I buy at least 2 packages a week. I even used it last night to make my Hawaiian Sloppy Joes! It’s 99% fat free, gluten free, and all natural! It tastes amazing and works wonderfully in any recipe that calls for ground beef. If you’re looking to purchase Jennie-O products, be sure to stop buy their coupon page to see what they have available! Preheat oven to 400. 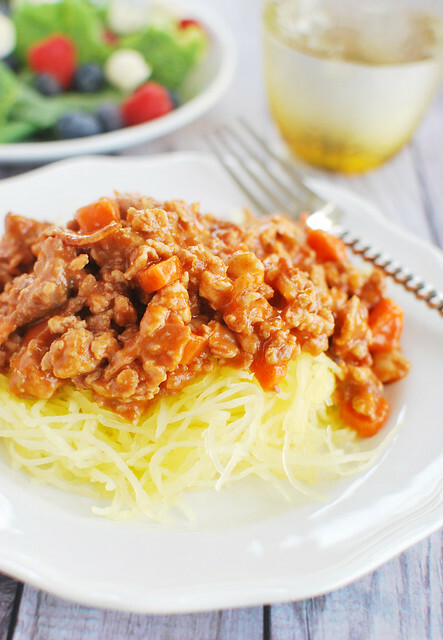 Brush the spaghetti squash with 1 teaspoon olive oil. Season with salt and pepper. Bake in preheated oven for about 30 minutes, or until tender and the strands come away easily. 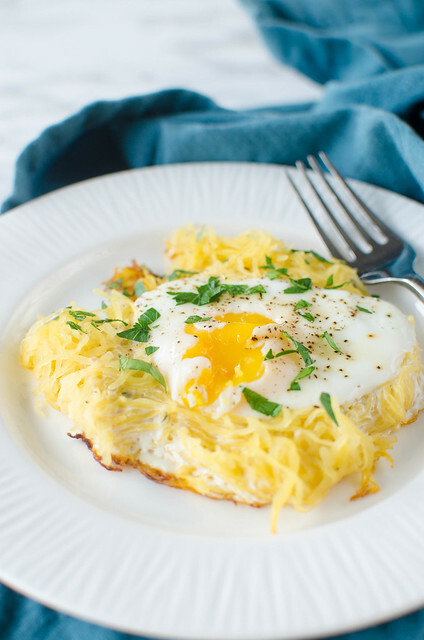 Use a fork to separate the strands but leave them in the spaghetti squash shells. To prepare the filling, heat remaining 1 teaspoon olive oil in a large skillet over medium-high heat. Add Jennie-O Extra Lean Ground Turkey Breast and diced onion. Cook, breaking up the turkey, until onion is translucent and turkey is cooked through. Add garlic and cook until fragrant, just 30 seconds. Stir in red enchilada sauce and black beans. 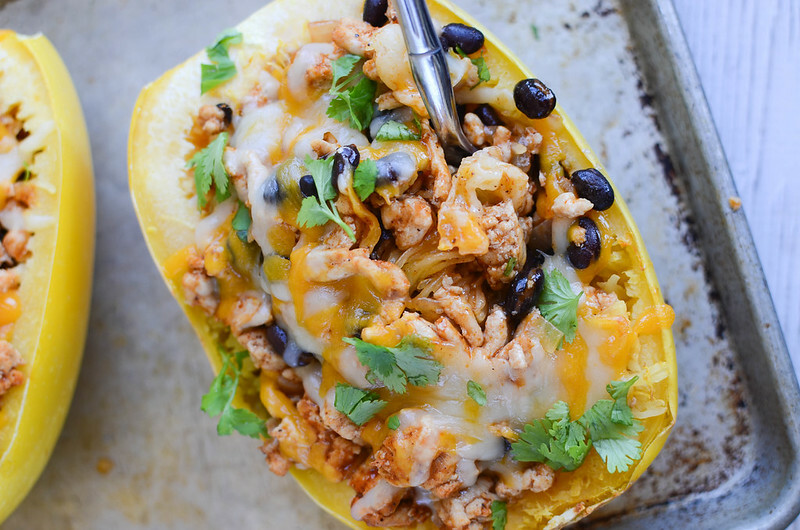 Spoon the mixture into the spaghetti squash shells and top each half with cheese. Bake for about 10 minutes, or until cheese is melted and bubbly. Top with cilantro and salsa if desired. 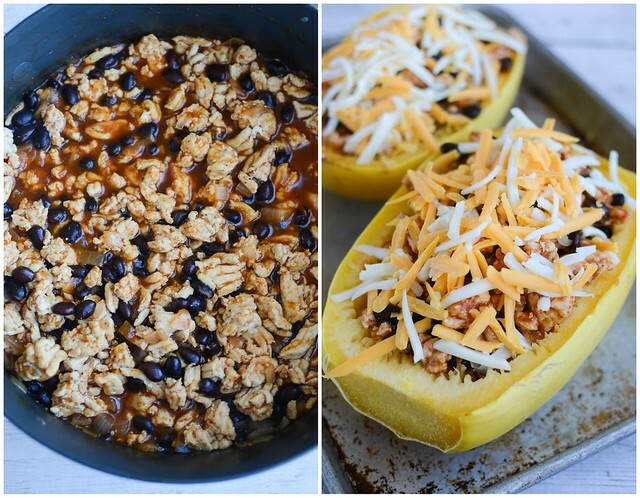 Want more spaghetti squash recipes? 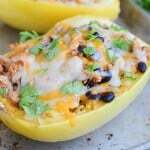 One Response to "Enchilada Stuffed Spaghetti Squash"
So good and comforting ! Thank you and have a pleasant week !